I saw this today and thought of stepmothering. William Ury is the author of Getting to Yes and has helped navigate some of the most difficult conversations happening in our world today. His advice is something that we can use in our homes, my ladies! Conflict in your home? With a stepchild? An ex? Your partner? Then watch this. Ury believes the secret peace is to take the third side. Love it. Stepmoms: Have you transformed conflict in your home? Share with us! Tomorrow is Ask the Experts Day! 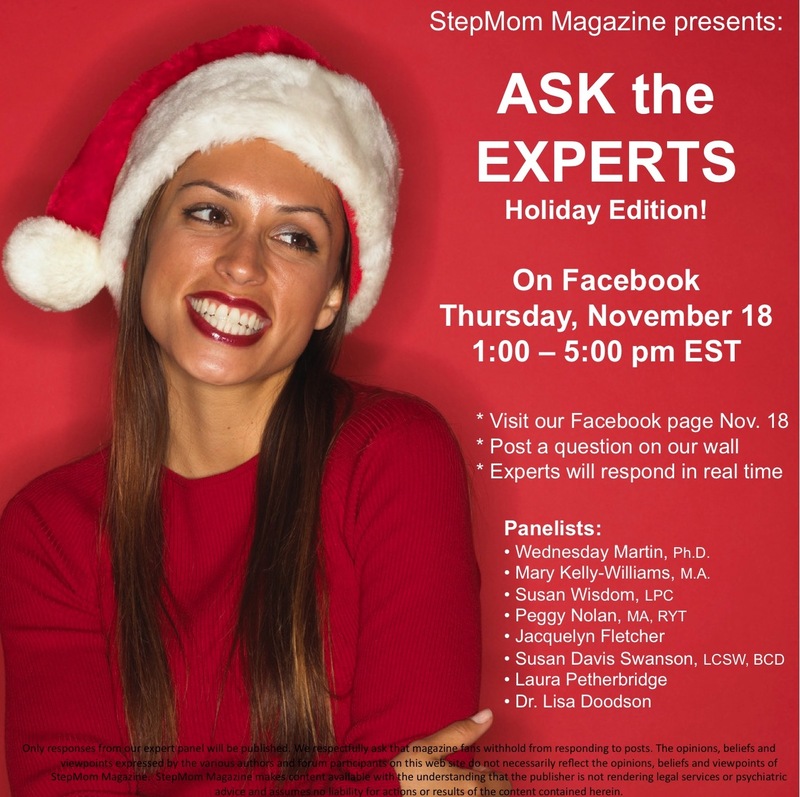 Stepmom Magazine has gathered eight stepfamily experts to answer your questions. The online event is happening on Thursday, November 18, 2010 from 1 to 5 p.m. Eastern Standard Time on FaceBook. Go to Stepmom Magazine’s FaceBook page and join the conversation! I’ll be there and so will some of my favorite esteemed colleagues!